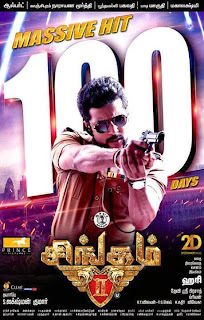 The movie “Singam2” starring Nadippin Nayagan Suriya, Anushka, Danny Sapany, Hansika, Santhanam, Rahman, Vivek and more has completed its successful massive 100 days victory today. The movie was early hit the screens like storm and continued its good run in every theatres. The film has released in record theaters worldwide and now its time for the 100th day. The theater owners already stated that “Singam2 is the film which made us more profit than any other films released recently." It was clear the Singam2 gets the heart of audience and roared like a real lion. Congrats to the whole team of Singam2 for giving this massive success and hope the crew will join again to hit the screen with Singam3. Note For Suriya fans: As celebration to Singam2’s 100thday. 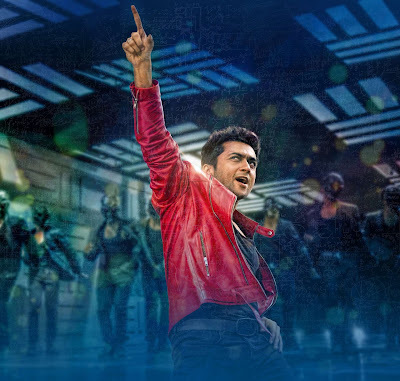 Surya fans are decided to trend in twitter on 11-10-2013 today. Interested fans can be join with us in Twitter. The Tag will be trending in twitter… Support us!